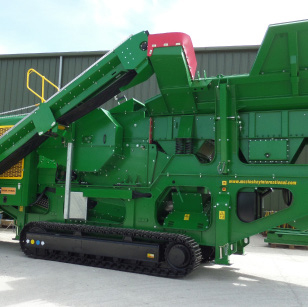 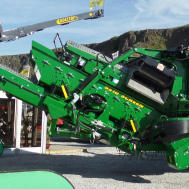 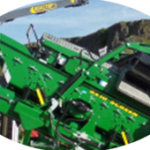 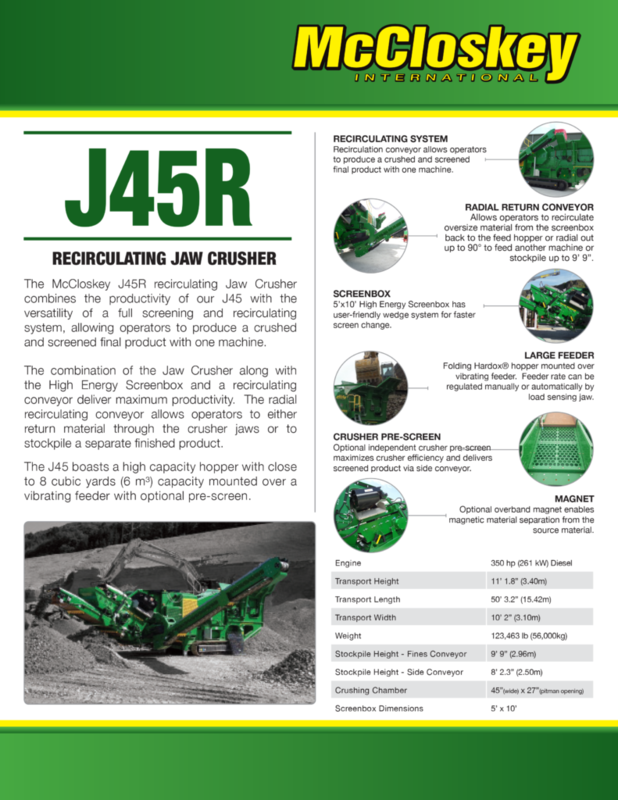 The McCloskey™ J45R recirculating Jaw Crusher combines the productivity of our J45 with the versatility of a full screening and recirculating system, allowing operators to produce a crushed and screened final product with one machine. 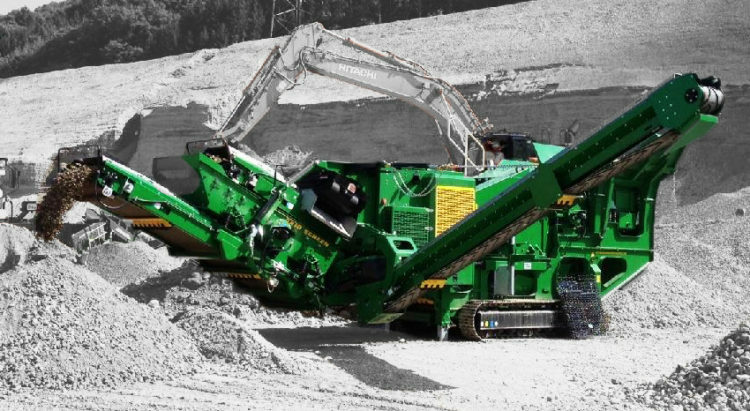 The combination of the Jaw Crusher along with the High Energy Screenbox and a recirculating conveyor deliver maximum productivity. 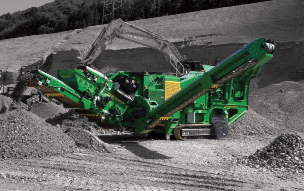 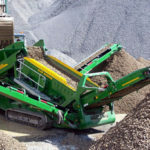 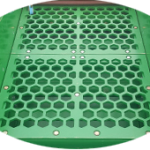 The radial recirculating conveyor allows operators to either return material through the crusher jaws or to stockpile a separate finished product. 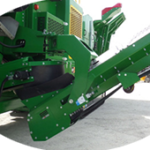 The J45 is a heavy duty high capacity track mobile jaw that can guarantee sized finished products via the closed circuit screen deck. 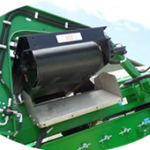 Recirculation conveyor allows operators to produce a crushed and screened final product with one machine. 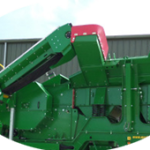 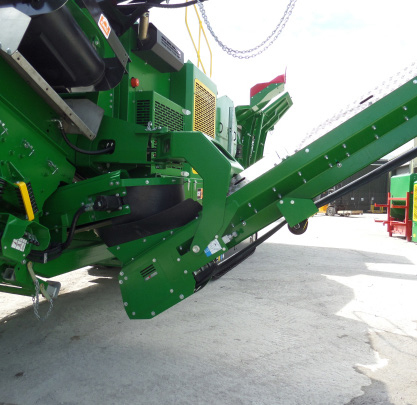 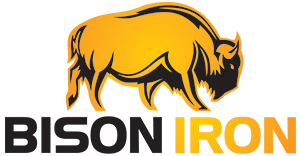 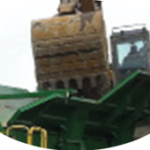 Allows operators to recirculate oversize material from the screenbox back to the feed hopper or radial out up to 90° to feed another machine or stockpile up to 9’ 9”. 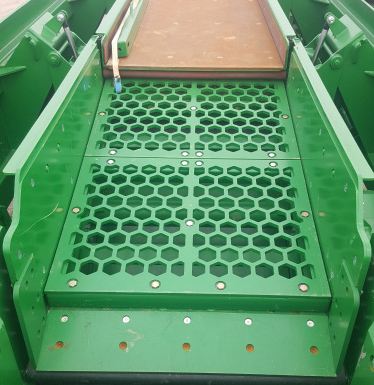 5’x10’ High Energy Screenbox has user-friendly wedge system for faster screen change. 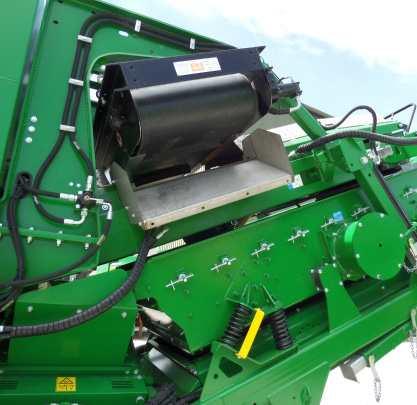 Folding Hardox® hopper mounted over vibrating feeder. 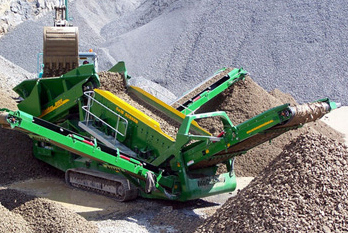 Feeder rate can be regulated manually or automatically by load sensing jaw. 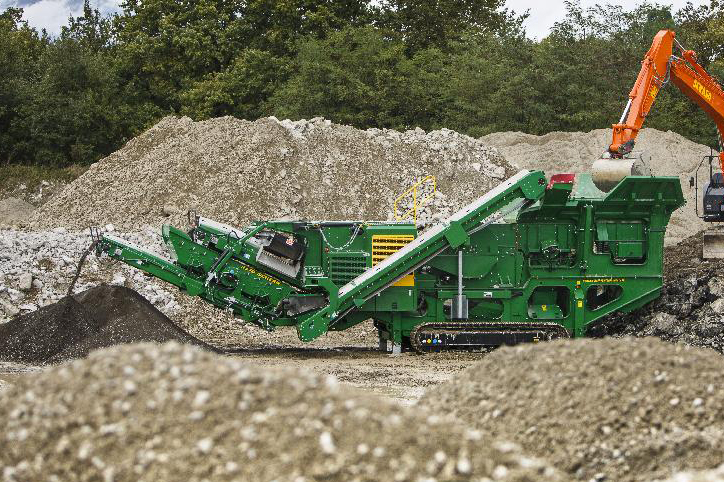 Optional independent crusher pre-screen maximizes crusher efficiency and delivers screened product via side conveyor.